Details: Q10 | Westcap originated a permanent loan for the Residence Inn LAX. A 231 room Residence Inn suites hotel. Our permanent loan funded on 10-months stabilized on a sub-9% debt yield with an earn-out tied to a 10% performance debt yield. Details: Q10 | Westcap originated a construction loan for the new LIDO HOUSE HOTEL on the site of the former Newport Beach City Hall. The proposed development is a 130 room, Marriott Autograph Collection Hotel that will include a lobby, cafe/bakery, 4,400 square feet of function space, restaurant/bar, outdoor dining area, rooftop lounge, fitness center, health spa, business center, concierge, and outdoor courtyard with pool and spa, cabanas, fireplace, and function lawn. Construction is expected to commence in May 2016 with the operations of the hotel beginning in fourth quarter 2017. 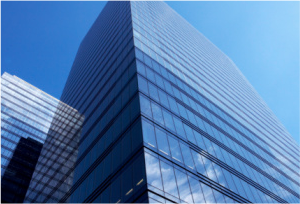 The Construction financing was arranged through one of Q10 | Westcap's key bank relationships. Details: Q10 | Westcap originated a construction loan for the new Marriott Irvine Spectrum Hotel, which will be a full-service Marriott. This 271-room full-service hotel. The hotel amenities will include a restaurant, bar, and lounge, 9,000 square feet of meeting and pre-function space, a large event lawn, expansive pool and spa, state of the art two story 2,000 square foot work-out facility, and a large roof top terrace. Details: A non-recourse 10/25 loan for a 17,799 square foot, 2-story office over retail refinance located in San Clemente, CA. Details: A non-recourse 10/25 loan for a 34,131 square foot, strip-retail center located in San Marcos, CA.